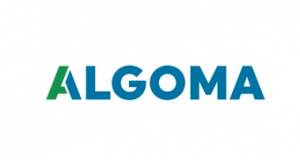 Algoma announced today that just four months after its acquisition of its neighbouring combined heat and power plant (formerly Lake Superior Power Plant), the idled facility is back online supplying power to Algoma’s power grid. August 1st, 2018 marked its first day of production, generating 32 MW of power just in time to meet summer’s peak power requirements. 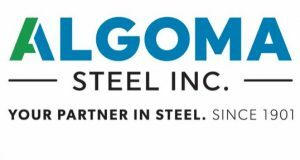 Algoma is based in Sault Ste. Marie, Ontario. As a fully integrated steel producer, the Company manufactures hot and cold rolled steel products including sheet and plate. Essar Steel Algoma Inc. filed for creditor protection under the Company’s Creditors Arrangement Act on November 9, 2015. Relevant documents can be found on the Monitor’s website at www.ey.com/ca/essaralgoma and on the Prime Clerk website at http://cases.primeclerk.com/EssarSteel. 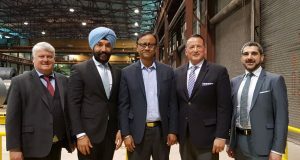 While the company is officially doing business as Algoma, the company remains Essar Steel Algoma Inc. for legal and financial purposes for the duration of the restructuring process.